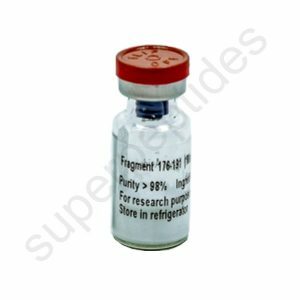 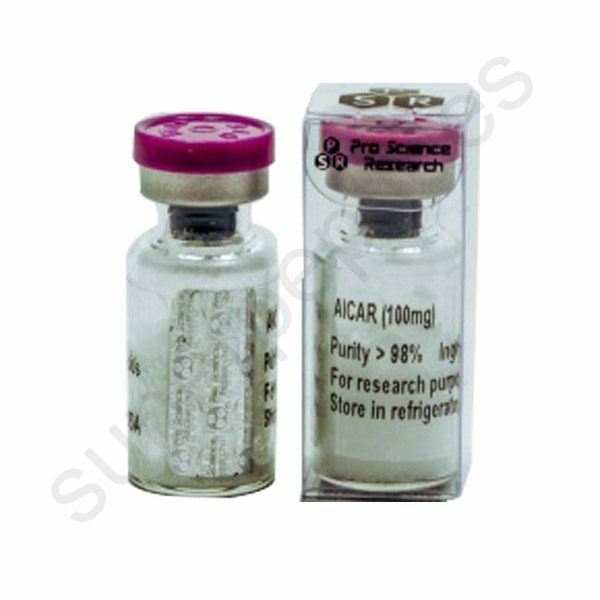 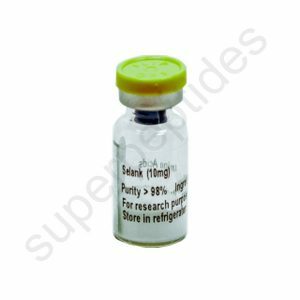 AICAR is an analog of adenosine monophosphate (AMP) that is capable of stimulating AMP-dependent protein kinase (AMPK) activity. 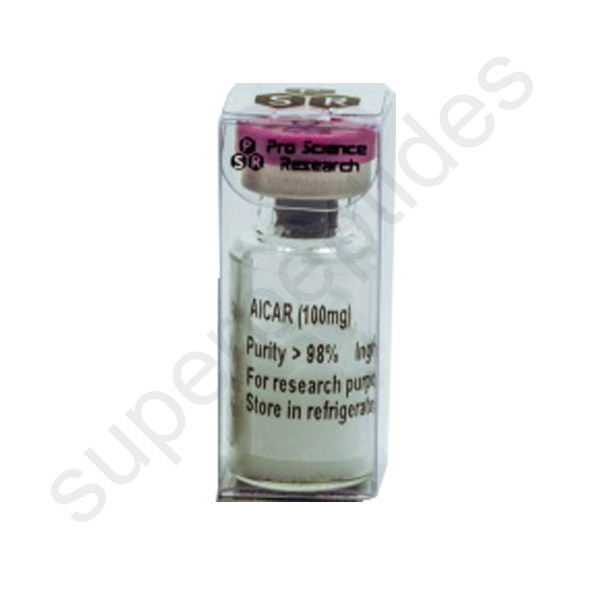 AICAR has been used clinically to treat and protect against cardiac ischemic injury and was first used in the 1980s as a method to preserve blood flow to the heart during surgery. 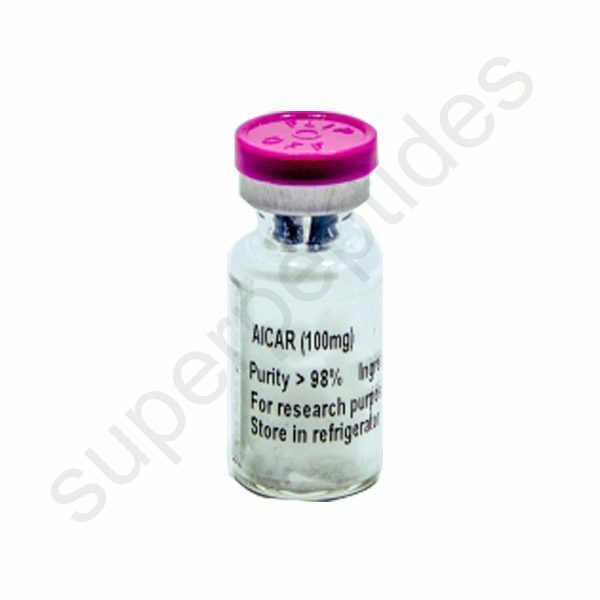 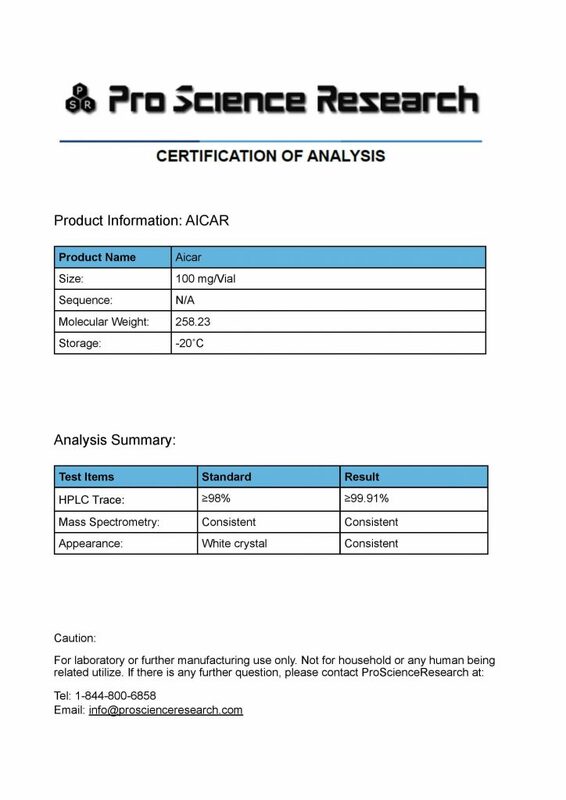 5-Aminoimidazole-4-carboxamide ribonucleotide (AICAR) is an intermediate in the generation of inosine monophosphate. The nucleoside form of AICAR, acadesine, is an analog of adenosine that enters cardiac cells to inhibit adenosine kinase and adenosine deaminase. It enhances the rate of nucleotide re-synthesis increasing adenosine generation from adenosine monophosphate only during conditions of myocardial ischemia.